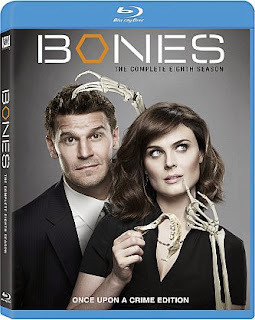 I have been watching Bones since the very beginning and each season it gets better. I really love how the relationship between Booth and Brennan has grown from season to season. The show itself is written very well. It is very easy to be hooked with each episode from the beginning to the end. The stories I feel are a little dark but still there is tons of humor from the characters. If you love, to see crime shows with bodies, investigations, experiments and science all in one. Bones offers all of this and more. I cannot wait to see what all season nine has in store. Plus, I am ready to see some new investigations. Where to purchase: You are able to make a purchase from local retailers. You are also able to purchase Bones: The Complete Eighth Season from Amazon for $29.99.